This blog is about watercolor painting and other interests. Still….it is March……. but with a cold wind. I gathered some dried things of nature a fungus left from the previous year (while cycling in East-Germany). 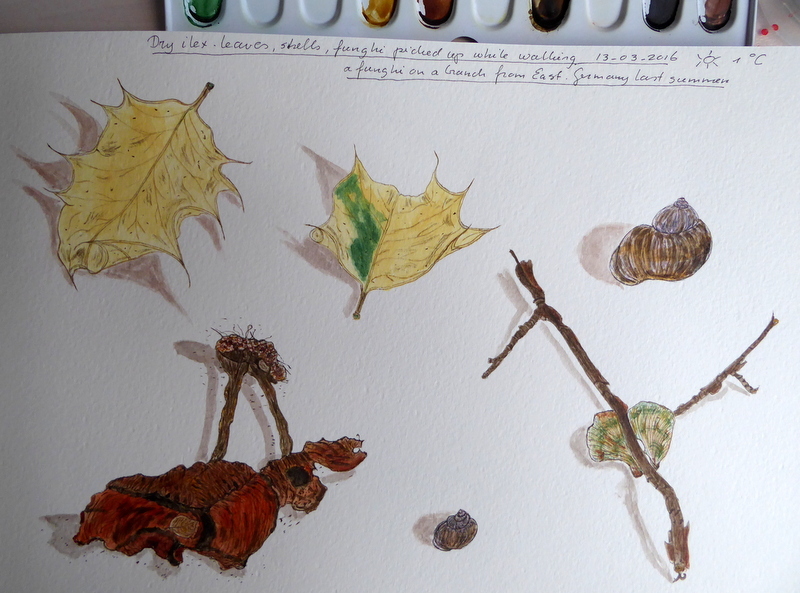 Two ilex leaves, dry fungus and deserted snail houses. Vandijck’s earth, the umber pigments and some green olive is what I used this time.